Today is the world of smart phone now you care picture from your mobile and upload on your favourite social networking sites or some time also used to share with your friends and family. But when you used to computer than you have an option to editing by available photo editing tools but this may be you are missing on Android mobile. So, here we are sharing best Android apps that help to do changes and editing in picture that you capture. If photography is your hobby or you just want to do some changes to make clearer picture than this are very useful apps. Picsay is one of the most popular photos editing apps for android mobile user this app come with all basic editing features in addition few advance and extra functionality that help to produce interesting photos. With this app you can perform adjusting, contrast, add content, temperature, brightness, under only one tab. These following features also make your image more interesting. Unique feature that make this app popular in this category are ability to add Word balloons, titles and stickers having with customizable fonts and colours that you can arrange them anywhere on photos. Little photo one of my favourites photo editing app for android mobile used, these apps having consisted of some basic features adding frames, rotating pictures, brightness and contrast of images. You can also adjust and change the intensity of images that suit to your flavour there are some more features that make this app more unique are easy to use, multi exposure, burn spot and body glow. Similar to above app this also makes your photography experience more excitable and interesting. This app also provide filter option but in very large range than little photo with dozens of options. You can arrange filter in categories like photo frames, photo filters and light filters but there is drawback of this filter is limited to use for one filter at time in each category. But you can face all this hassle because these app best things it never is irritate you by ads. You want to erase or remove completely that reducing beauty of your capture picture than this app is very good option. 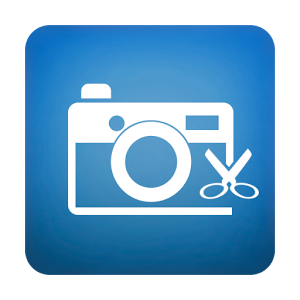 This app comes with little features but it is free and easy to make your photo perfect that you want to share on social networking on social networking or with your friends and family.